Location: On CR 128, Section 31, Township 6.N (Rice), Range 15E, Sandusky County, Ohio. Take US 20 west of Fremont 1/2 miles from the by-pass. Turn right (north) on CR 128 and go 4-2/10 miles. 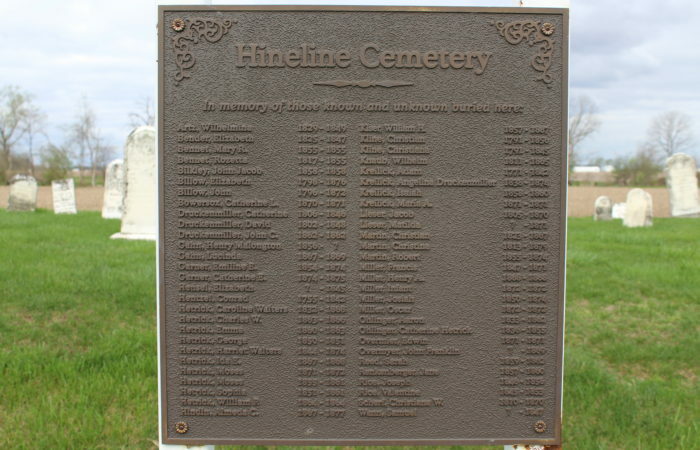 The cemetery is on the west side of the road just past the Faith Lutheran Cemetery on the east side of the road. 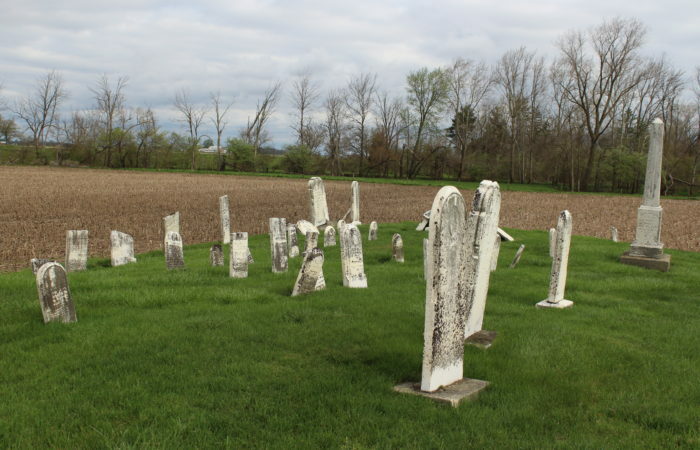 The cemetery is in a small isolated treeless spot in a cultivated field off the road on private property. There is no sign but the cemetery can be seen from the road. A plank crosses the roadside ditch which is used as access to the field. This is the way the trustees get to the cemetery to mow it. The township keeps it mowed. The stones are old. The stones have been read and the information placed at the Hayes Presidential Center in Fremont. Supposedly there are no Hinelines buried there. 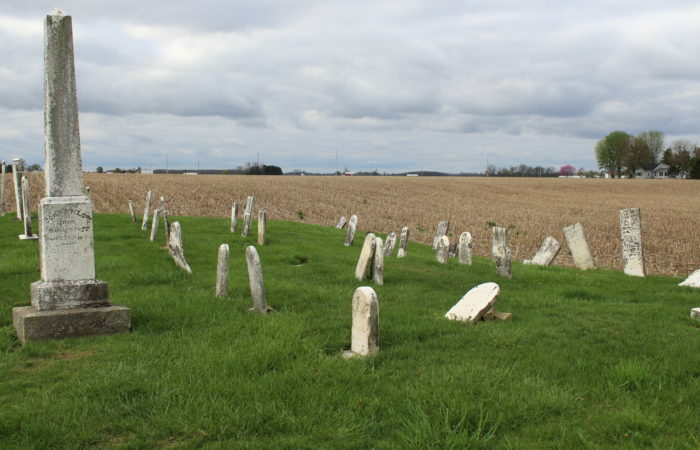 Early burials are for the following: Conrad Hentzel & Adam Kreilick-1842, Elizabeth Hensel & Christina Kline-1845, Catharine Drukenmiller in 1846, Elizabeth Bender & Samuel Wann in 1847.